What in the world is Steve Ballmer, Bill Gates, and the rest of Microsoft thinking about Google TV and the major impact it will have on the entertainment industry. All I could envision is Steve Ballmer throwing a chair across the room and smashing some co workers laptop – yes, violent I know… sorrry! According to the release date mentioned in the Google TV announcement, we can expect to see Google TV coming this fall. That’s only about 4 – 6 months away from today. That gives developers a lot of time to start programing and developing all sorts of cool apps for Google TV. Also within the Google TV announcement, Google stated that the Google TV’s will be available at Best Buy. So Google has apparently partnered with Best Buy for the distribution of the Google TV’s. Best Buy I’m sure is excited about bringing the Google TV’s to their floors, and the Best Buy stock holders are more than happy about the news as well. 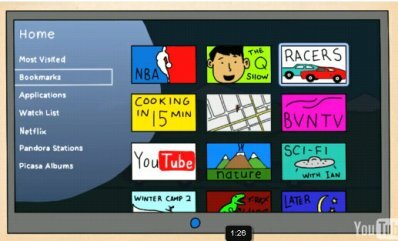 And perhaps one of the most relevant aspects of Google TV is that it will run on the Google Android OS platform. This is proving that Android is so much more than just a mobile phone platform. Android is becoming integrated into TV’s, cars, and just about any other device that has a screen on it. I AM VERY EXCITED ABOUT THE NEW TECHNOLOGY THAT HAS SURFACED OVER THE LAST FEW YEARS. IT WILL BE VERY INTERESTING TO SEE HOW THE CABLE AND SATELLITE COMPANIES WILL COMPETE WITH THIS. THIS IMPROVEMENT IS WHAT MANY OF MOVIE, TV SHOW WATCHERS HAVE BEEN WAITING FOR……THIS IS A BIGGGGGG BREAK FOR ALOT OF OUR POCKETS!!!! MAY GOD CONTINUE TO BLESS YOU TRULY!!!!!! I’ve been connecting my computer to my tv screen for years… what’s the added benefit of this service? I’m sure that they have tailored the UI experience for the television. Most PC operating systems are not optimized for use with a television. And it looks like your cable feed, and the internet are going to be more seamless on this device. That being said, I’m sure there is some kludge of hardware and software that can accomplish roughly the same thing today but I would expect the experience you get this with device would be much better… Otherwise they are wasting their time.